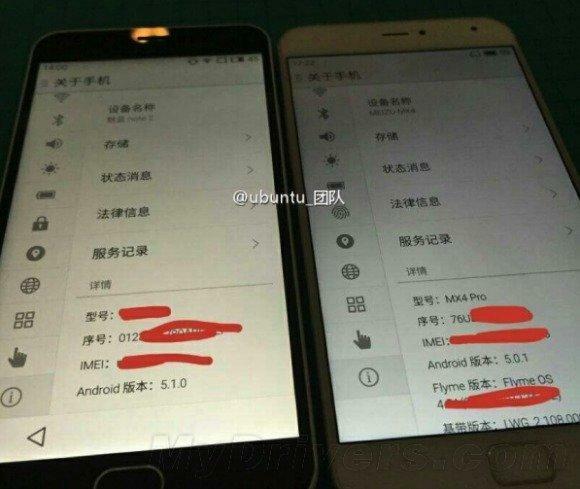 Meizu M1 Note 2 alleged images leaked ahead of it’s launch on June 2nd which was rumored about this earlier this month. And now Meizu has actually planned an event for that date, so it seems that the next-in line to the M1 Note will become official sooner or later. The Meizu M1 Note 2 is supposed to have a fingerprint sensor as per another wild rumor, and the shape of its home button also tells us the same, but as per the software on this leaked model, there’s no fingerprint sensor in there. So the home button simply offers a new design, with no new feature included in it. Thus, the new hardware changes that the new Meizu Note will bring is still a mystery. For the software side, it is going to run on Android 5.1 with the Meizu’s Flyme OS. The price will be the same as per reported and therefore the M1 Note 2 will go for sale at CNY999 just like its previous model. So it will be up for around $161 and €141 according to the current currency rate.